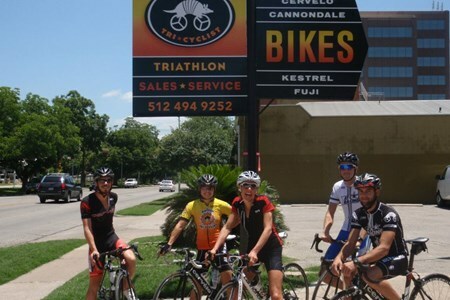 Austin Tri-Cyclist is one the the nations oldest and biggest triathlon specialty shops, founded in 1995 and has become a leader in the road, mountain, and urban commuters. ATC prides itself on giving customers one-on-one service with an extremely knowledgable staff. 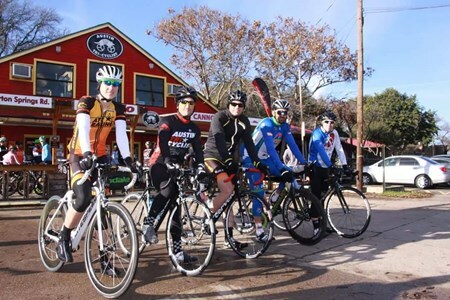 The shop has expert triathletes, a pro mountain biker, and top level cat cyclist to help answer any questions you can come up with. ATC has seen or done it all! 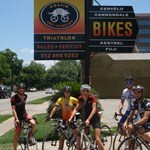 A social ride led by elite cyclist and coach Stefan Rothe, this Monday evening option is open to anyone on a road bike. 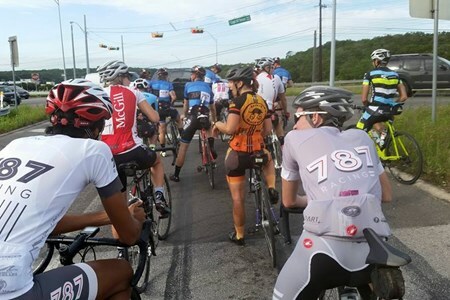 The route changes every week, going out east toward McKinney ... moreFalls and the Tuesday Nighter course, north along Shoal Creek, or south to 5th street or to Buda if time allows. Ride time is typically 1.5-2 hours max. Start time changes with the season, so email Stefan if in doubt. **Ride is on hold/cancelled until further notice** After competing in Saturday's ATC World Championship Ride, your legs need to recover. There's nothing better than an intermediate ... morepaced road riding to get your legs back in shape. ATC's Sunday Recovery/Intermediate ride does just that. It is a more casual pace route than Saturday. 30 miles around a 17 mph average. 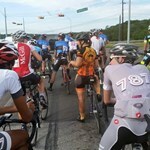 This is a 30.51 mi Bike Ride in Austin, TX, United States. The Bike Ride has a total ascent of 954.51 ft and has a maximum elevation of 1,049.44 ft.